A new marine sediment certified reference material (IAEA 459) with very low concentrations (μg kg−1) for a variety of persistent organic contaminants (POPs) listed by the Stockholm Convention, as well as other POPs and priority substances (PSs) listed in many environmental monitoring programs was developed by the IAEA. The sediment material was collected from the Ham River estuary in South Korea, and the assigned final values were derived from robust statistics on the results provided by selected laboratories which demonstrated technical and quality competence, following the guidance given in ISO Guide 35. The robust mean of the laboratory means was assigned as certified values, for those compounds where the assigned value was derived from at least five datasets and its relative expanded uncertainty was less than 40% of the assigned value (most of the values ranging from 8 to 20%). 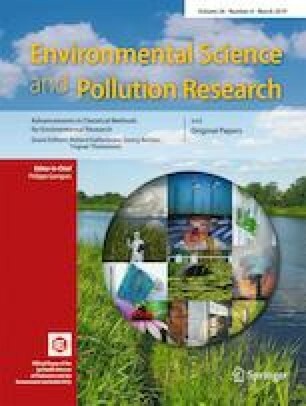 All the datasets were derived from at least two different analytical techniques which have allowed the assignment of certified concentrations for 22 polychlorinated biphenyl (PCB) congeners, 6 organochlorinated (OC) pesticides, 5 polybrominated diphenyl ethers (PBDEs), and 18 polycyclic aromatic hydrocarbon (PAHs). Mass fractions of compounds that did not fulfill the criteria of certification are considered information values, which include 29 PAHs, 11 PCBs, 16 OC pesticides, and 5 PBDEs. The extensive characterization and associated uncertainties at concentration levels close to the marine sediment quality guidelines will make CRM 459 a valuable matrix reference material for use in marine environmental monitoring programs. The online version of this article ( https://doi.org/10.1007/s11356-018-1895-4) contains supplementary material, which is available to authorized users. The International Atomic Energy Agency is grateful to the participants and laboratories taking part in the IAEA-459 characterization study for their time and facilities. Special thanks are given to the Korean Institute of Ocean Science & Technology for the donation of the raw material. E. Vassileva, S. Azemard. M. Angelidis, L. Barilaro, M. Horsky, and A. Fajgelj are acknowledged for their advice and support. The IAEA is grateful for the support provided to its Marine Environment Laboratories by the Government of the Principality of Monaco. This work was supported by the UNEP MEDPOL Programme.